A tooth that has been damaged by tooth decay or other dental problems may or may not be saved – depending on the severity of the damage, and on the early diagnosis and treatment of the specific issue. As long as there is still a possibility of saving a damaged tooth, you should do everything to ensure that it can still be saved – so that you do not end up losing that specific tooth. Dental fillings can be used to address concerns about teeth that have been damaged by tooth decay; however, when the tooth becomes badly damaged and the pulp or root becomes infected, a more advanced treatment will be needed. 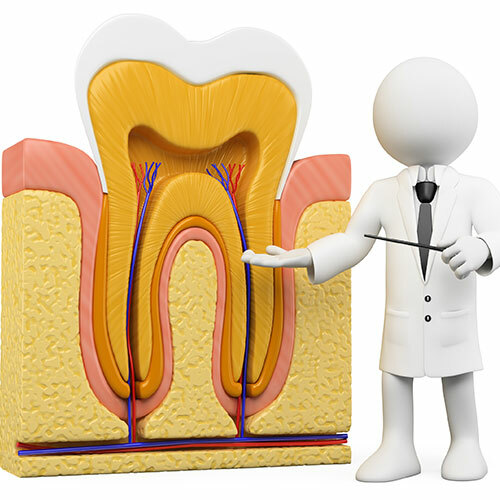 Root canal treatments may be the only way to save your tooth from being extracted when tooth damage is extensive. Root canal treatments are procedures that are done to save a tooth that has been badly damaged (due to tooth decay or other dental problems), or when the tooth’s pulp has become infected. A root canal treatment is needed to prevent abscess from forming, and is done to avoid having the infection spread to other parts of the tooth – or to other teeth and oral tissues. The infected tooth pulp will be removed during a root canal treatment, and the root canal will be filled and sealed to prevent the spread of further infection. The removal of the infected parts of the tooth makes it possible for the damaged tooth to be saved from being extracted, so you can still enjoy the form and function of that particular tooth. Your dentist will determine if infections have set in on the affected teeth; if there is an infection, it will need to be addressed first (usually with the use of antibiotics) before the actual root canal treatment can proceed. Any abscess will also need to be drained first before the procedure. A rubber dam will be used to isolate the area from saliva, and from the rest of the mouth/surrounding teeth. A local anaesthesia will be used to ensure that the area that will be treated stays numb, so that you will not feel pain or discomfort during the root canal procedure. Your dentist will drill a hole through the tooth, all the way down to the pulp. The infected pulp is removed, and the root canal is cleaned. When the tooth has been completely cleaned, it is then sealed to keep the whole tooth protected. In some cases, a temporary filling may be used after cleaning the root canals – this is especially true in cases when an infection needs to be cleared first, before the permanent seal can be placed. An apicectomy is a surgical procedure involving the removal of the tip of the root of the tooth, and any infected tissue in the surrounding area. The apicectomy is done in cases when a root canal treatment does not successfully remove all the infection in the affected tooth, or when you experience a lot of discomfort and pain after a root canal treatment.